London, 24 August 2011 – eCOGRA, the independent player protection and standards body servicing the international remote gambling industry, has achieved two milestones of its own, successfully qualifying as a testing agency with the Italian regulator AAMS, and having its systems approved by ISO – a Geneva-based international standards authority. Working through the United Kingdom Accreditation Service, London-based eCOGRA was accredited by the International Organisation of Standards (ISO) after meeting its stringent systems-oriented requirements and standards. On July 22, 2011 eCOGRA was awarded the ISO approval ISO/IEC 17025:2005 : General Requirements for the competence of testing and calibration laboratories. The accreditation is one of the quality assurance requirements for approval as a testing agency in various European remote gambling licensing jurisdictions. eCOGRA has also confirmed its capability as a testing entity in the burgeoning Italian market by securing the approval of Italian regulator Amministrazione Autonoma Monopoli di Stato (Autonomous Administration of the State Monopolies) or AAMS. This accreditation empowers eCOGRA to act as a testing and monitoring agency for remote gambling platforms, random number generators and gaming operator applications for compliance with the technical standards issued by AAMS. It opens eCOGRA’s considerable experience in the field to operators with plans to access the Italian market. Andrew Beveridge, chief executive officer of eCOGRA, congratulated his IT and audit staff on the achievement of the new accreditations this week, saluting their professional commitment to the highest international standards. “Promoting the values of commitment and self-regulation, and preparing remote gambling companies for the national regulatory systems now evolving, remains a critical part of our business, and eCOGRA will continue to pursue testing agency approval in other emerging jurisdictions to ensure that we can provide a full-service offering which meets all of our client’s regulatory compliance needs,” he said. Beveridge added that eCOGRA expected to announce further jurisdictional approvals soon, and was open to approaches from both existing and new clients interested in the regulatory requirements of the emerging licensing jurisdictions, and how to meet these. eCOGRA is staffed by highly professional auditors with Big 4 auditing firm experience, information system experts and responsible gambling specialists. The organisation is a leading supplier of compliance and advisory services in the areas of player protection, fair gaming and responsible operator behaviour to stakeholders in the remote gambling industry. 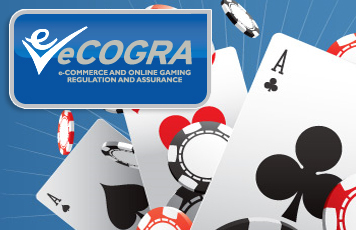 In 2011 alone eCOGRA will perform almost 100 compliance reviews against eCOGRA’s eGAP Requirements, the European Gaming and Betting Association (‘EGBA’) Standards (incorporating the European CEN Workshop Agreement Measures) and various jurisdictional regulations. Founded in 1947, the ISO is an international standards-setting body composed of representatives from various national standards organisations. The organisation promulgates worldwide proprietary industrial and commercial standards from its headquarters in Geneva, Switzerland. ISO is a voluntary organisation whose members are recognised standard authorities, representing a diverse range of countries and industries. The bulk of the work of ISO is done by the 2700 technical committees, subcommittees and working groups, assessing and inspecting applicant companies dedicated to improving services and production. The Italian online gambling market is regulated by the Amministrazione Autonoma Monopoli di Stato (Autonomous Administration of the State Monopolies) or AAMS, which sets dedicated Italian market standards and requirements for operators in the Italian market and grants and monitors licenses.